For anyone who was making the boats on the day that we were there, Ahmed is the guy who cut his finger when the vodka bottle exploded! He really loved making the boats and being at Galgael as it reminded him of things they made on his island in Somalia. He is from the Bajuni islands, a small archipelago of islands in the Indian Ocean, south of Somalia. From what i understand, the Bajuni people were effectively ethnically cleansed from these islands. Ahmed spoke to me of how men came and demanded money from his parents, and when his father didn't have any, they shot him, pushed Ahmed back with the but of his gun, and left. He was 7. 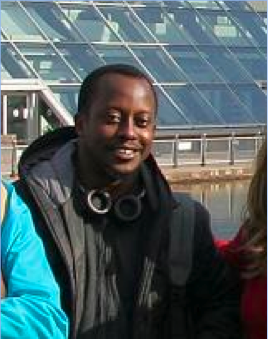 Ahmed has spent most of his life in Refugee camps in Kenya, and came to the UK on a fake Tanzanian identity in 2009. The Home Office do not believe he is Somalian, something i find ludicrous, as he has spoken so much of his life on these islands, and also is like a grandson to a Somali lady called Fatima, who used to attend the drop in, as they were neighbors on their island. Recently, Ahmed found that he has a sister in Manchester who has British Citizenship and was in the process of getting a DNA test put together when he was detained. I went to visit him yesterday and was devastated by how scared, depressed and sad he was. He was shocked at being in a prison like environment. He said 'i have never been to prison, it's unbelievable, they make me feel like i am a criminal'. He told me that if he gets deported to Tanzania, he will most definitely be put in prison, where he will most likely be beaten. If he is deported to Somalia, he is young, and will be a target for the forces there to recruit him. He is absolutely petrified. I have attached letters that you can send on to the Home Secretary and Qatar Airlines. The idea behind a campaign like this is to raise Ahmeds profile and get more time to do the DNA test. This has worked in the past, and i would urge you to take 10 minutes to send these documents on. Please also send this to your friends, MP's, etc. The more people who send these letters, the better. I'm going to try and start a twitter campaign as well. I have made myself familiar with the case of Ahmed Abdullah / Bakari Khamis Ali who is due to be forcibly removed to Tanzania on Qatar Airways flight QR2 on 11th June 2012. Ahmed came to the UK in 2009 and claimed asylum. Since the age of 7, he has been a refugee fleeing from the Bajuni islands off the southern coast of Somalia with his mother after his father was shot in the stomach by soldiers. Most of his life he has lived precariously in refugee camps in Kenya. When he was 20 years old, in 2005, an agent tried to arrange a visa for him to visit the UK so he could be with his grandmother. The agent filled in the visa application with a false Tanzanian identity. When Ahmed came to the UK in 2009 and claimed asylum, fingerprint checks revealed that he had applied for a visa four years earlier. Because of this his asylum case was refused as a result of this disputed nationality. The UKBA have refused to accept that he is Somalian not Tanzinian. Ahmed has made significant connections with his local community in Glasgow through the Govan and Craigton Integration Network as well as the Dialogue 4 Destitution project and World Spirit Forum Theatre Group. He coaches football at the local Primary School and is a keen amateur football player. Recently he has discovered he has a sister who has lived in the UK for ten years. He has been trying to arrange a DNA test to prove he has the same mother as this woman who has a British passport. I call on you to exercise your powers as Home Secretary to cancel the removal directions and allow Ahmed to return to safety in Glasgow so he can return to his friends and his private life in the local community.